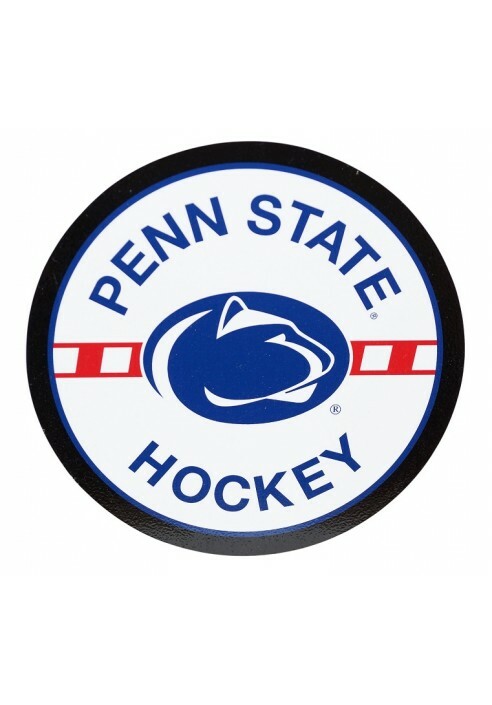 • "Penn State Hockey" with Logo. 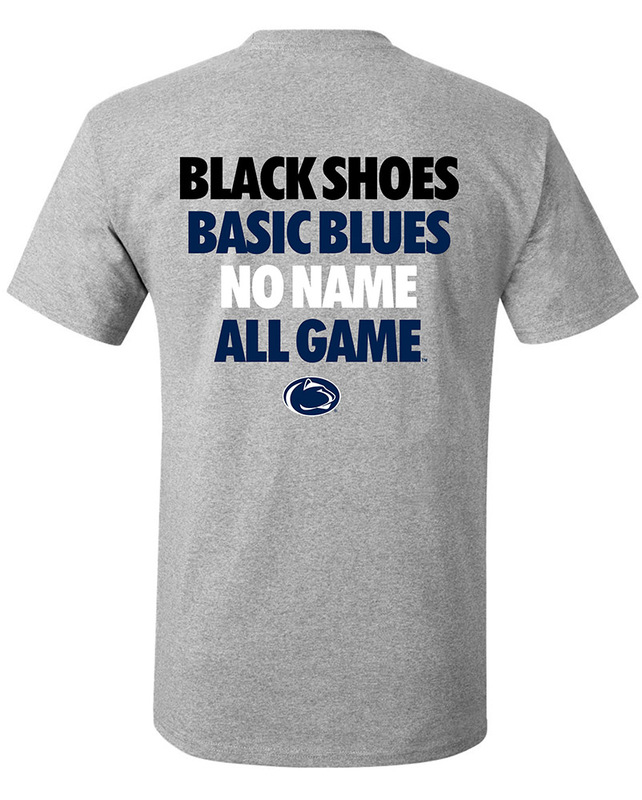 • White center with black outline. • Red weave next to logo.